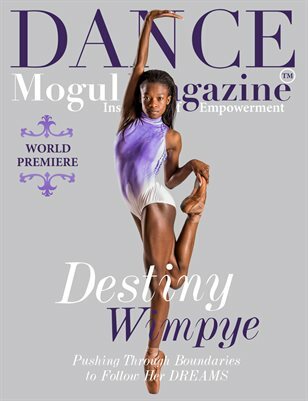 Join us as we celebrate Teen Dance Sensation, Destiny Wimpye, in this month’s issue of Dance Mogul Magazine. This is a first of its kind full feature magazine. 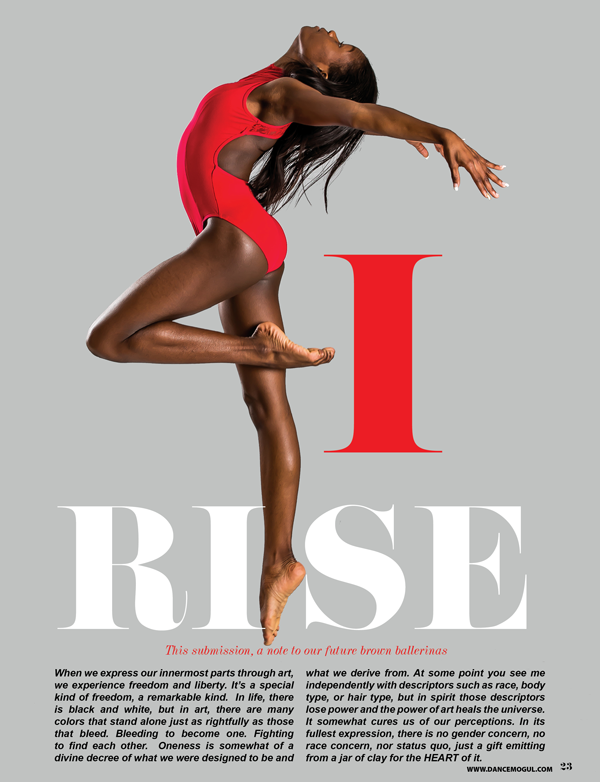 Yes!…An entire magazine devoted to celebrating Destiny, while offering inspiration and encouragement to young dancers all over the world. Destiny has been dancing since the age of 3. Not only does she love to dance, but she also values her education. She currently has a 3.8 GPA in school. She has studied Ballet, Jazz, Latin Fusion, Tap, and African dance. Destiny’s love and passion for dance has allowed her and her mom, Keisa, to relocate from Atlanta to Los Angeles, California. Destiny’s most recent accomplishment is playing the lead role of “Kara” in Debbie Allen’s, The Hot Chocolate Nut Cracker. She is an Ambassador for Brown Girls Do Ballet. She made her television debut this past December 2016 with a stage performance on the Mariah Carey Disney Special. It is clear that Destiny is focused and has embraced her purpose. Join us as we celebrate Destiny by sharing this email with your friends and family. How true it is that the whole world is a stage and everyone is playing a part. Or more kindly, everyone presents their offering or gift. It is said that our entire purpose is centered around what we can and are willing to do for others. If we followed the order of the purpose of art, we can work to attempt to eliminate the bullying effects of fear. We, the earthen vessels, biblically portrayed as jars of clay, loaded with potential and untapped greatness have a duty. But the duty often gets convoluted by environmental forces and the traditions and cultures as a result of the families we are born within. Hence, hatred for and toward others, unfortunately, often gets its way. Our job, again and again, is to serve. What can we do to aid the next person toward their promotion? So ask yourself, how can I make sure that I build the team rather than, one by one, killing their hope, in hopes to be a one man champion for myself? I’m paraphrasing, but Toni Robbins once eluded that the best way to pursue success is through living to help others. I believe him, and many would co-sign. It has been also proven that the most efficient way to motivate mankind is through reward and recognition (The Invisible Hand Theory). This somewhat undermines the notion of selflessness, now doesn’t it? So you work and you work for the reward and the recognition, and the last thing on your mind is seeing your counterpart doing anything you share in common, better than you. Art was intended to heal three-fold. It heals the projector, the viewer and the originator. Its source comes from a very spiritual place that creates harmony among its members. This is so, because its nature is toward the greater picture, as opposed to the “selfie” or self-gratifying moment. Take your most humble gospel singer, lost in the essence of truly pleasing God. Caught up in the fire of pure worship. In such a performance, it is not about pitch, nor technicality, but about relationship and above all, love. Have you ever been caught up in a fury of expression, be it dance or artistry or innovation, where the higher entity was the focus and not yourself or the others. I think when we do what we do for “The HEART of it,” we stop looking at our counterparts as the enemy of our reward or the threat to our recognition. How does it happen in the first place? How do we lose sight of the intended organic nature of what we love in art? Art allows us to display and elevate ourselves as a people. Each of us is a force to be appreciated, and in us, are spectrums with each force having an opposing side. In each of us, exists both love and hate. It’s about which we allow to rule and reign. If you truly love the art, you will love yourself and you will love those who share the art form, or you will hate them, yourself and the art. Art in love brings beauty, even to imperfection, but when we stop focusing on love and start focusing on what makes us different, we corrupt the ensemble, we disrupt the choreography, and we strip the art of its power. For the love of art, we must also love people. We must love the hatred and violence out of our souls and behaviors toward others, by refusing to compete and refusing to compare. Did you know that Dance Mogul Magazine is the first, and only African American Dance Magazine owned and operated by Father & Son in the world. 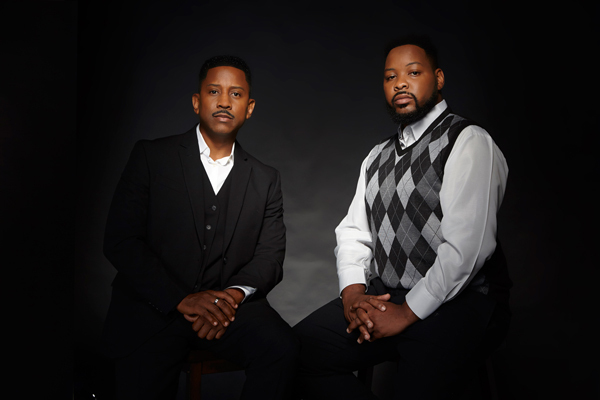 As we prepare each issue of Dance Mogul Magazine, our team is unified in the intent upon which we were founded—and grounded—by Publisher Basil Harris and his son, co-founder, Anthony Harris. The primary goal with the presentation of each issue is not monetary, but determination with excellence to point our readers to the place of power within them that they may have overlooked or perhaps never knew. Through our pages, as we share the stories of others, our greatest desire is to empower and inspire our readers to discover their purpose and reach their fullest potential through serving others with their gift; and in return have the success in life they desire.